The Berkeley Arts Council held its second annual meeting on June 20. This meeting marked the first full fiscal year (2010-2011) for the Council. Malinda Shaver and other Board Members presented a series of reports to the membership on the programs and activities for the Council’s last year. 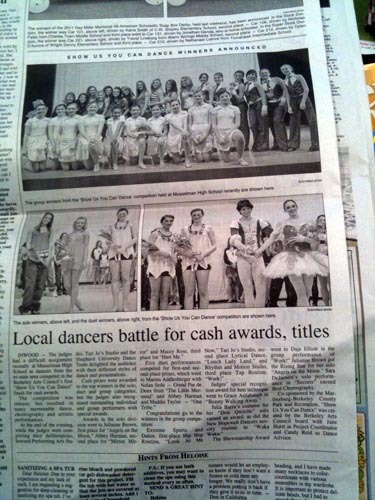 The Show Us You Can Dance winners were pictured along with a nice article in the Journal today.